The official hurricane season for the Atlantic Basin, which includes the Atlantic Ocean, the Caribbean Sea, and the Gulf of Mexico, begins June 1 and runs through November 30, and unfortunately, the 2018 hurricane season could again leave millions of people without power – especially if you live in or near an area hit by hurricanes. 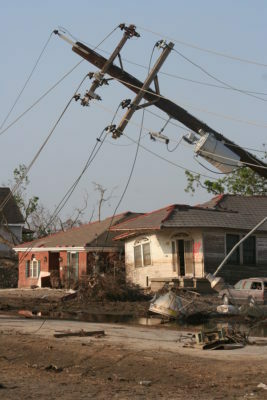 Hurricanes can destroy power grids and leave behind costly property damage. The 2017 Atlantic hurricane season was deadly, destructive, and extremely costly – featuring 17 named storms that ripped through the Atlantic Basin. According to media reports, 2017 was the costliest hurricane season on record causing more than $280 billion in damages, compared to about $180 billion reported during the 2005 hurricane season. Professor David Dilley – a senior research and prediction scientist for Global Weather Oscillations (GWO), predicts the 2018 hurricane season could be a repeat of 2017 – and possibly another record-breaker, too. Dilley prepares hurricane and tropical storm predictions for 11 zones stretching from New England to Texas. According to Dilley, while the 2018 hurricane season could be very similar to last year, he says that some hurricane landfalls will occur in different locations this year. 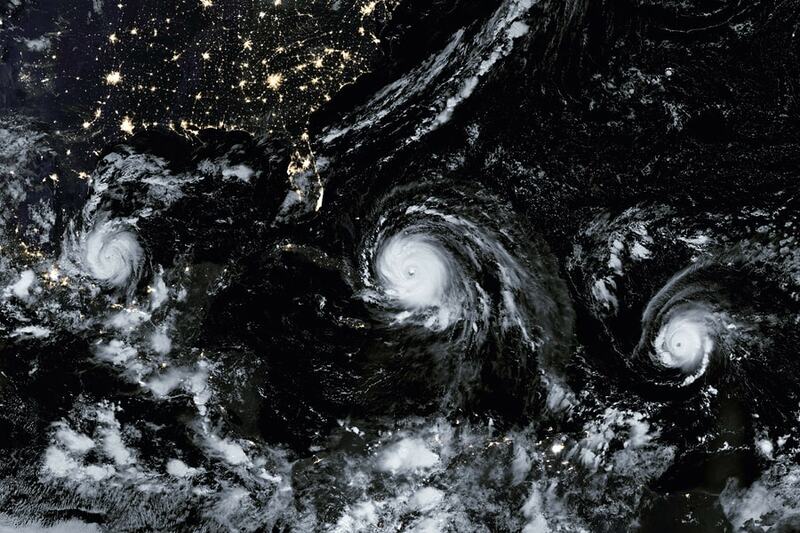 Dilley predicts there will be 16 named storms in 2018 – eight (8) hurricanes, four (4) major hurricanes, and a strong potential of four (4) hurricanes making landfall in the United States – two (2) of which will likely be major impact storms. In 2017, the GWO team predicted the U.S. would have six (6) named storms with three (3) hurricanes making landfall, and where they would occur. GWO predicted correctly, again. Utilizing the “Climate Pulse Technology Model”, a model developed by Dilley, GWO issues the most accurate hurricane season predictions by any organization, at least they have over the last 10-years. Essentially, most of the damage in 2017 was attributed to three major hurricanes — Harvey, Irma and Maria — all of which made landfall in the U.S. or its territories. Hurricane Harvey caused extreme flooding along with widespread power outages in Houston and many areas of south Texas after dumping more than 60 inches of rain over a four-day period. 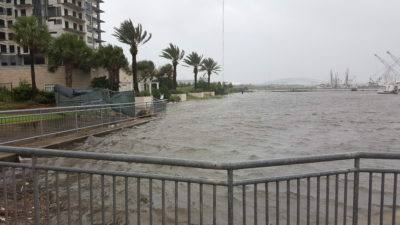 Hurricane Harvey made landfall at San Jose Island, Texas, late in the day on August 25 resulting in extreme flooding and severely crippling the power grid. Three days later, almost 280,000 customers were still without power along the Texas coast, Houston and surrounding areas. 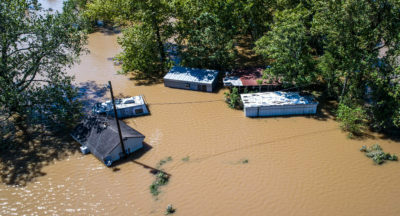 The slow-moving hurricane dumped over 60 inches of rain over a four-day period in-and-around the Houston-area and it is considered the costliest hurricane in U.S. history. Hurricane Irma pushed the St. Johns River in Jacksonville to its highest level ever recorded and the storm left tens of thousands in northern Florida without power for several days. At peak, 15 million homes and businesses were without power. After the first 48-hours of landfall, almost 4.4 million homes and businesses in Florida were still without power and 82% of the cell phone towers in the state were not functioning. More than 26 river gauges reached or exceeded major flood stage across northern Florida, including the St. Johns River in Jacksonville which reached its highest level ever. Hurricane Maria obliterated the Puerto Rico power grid leaving all 3.4 million residents without power. 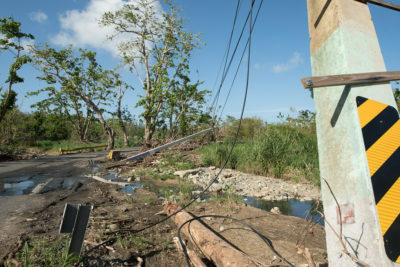 When Hurricane Maria made landfall, the storm destroyed the island’s power grid leaving all 3.4 million residents of Puerto Rico without power. More than a month after the hurricane hit, 88% percent of Puerto Rico’s population were still without power (3 million people) and 40% didn’t have cell phone service. And still today, more than six months after Hurricane Maria slammed into Puerto Rico, 10% of its residents do not have power. What’s your Emergency Backup Power Plan if a Hurricane Hits Your Area? Let’s hope a hurricane doesn’t hit the area you live in, but if it does, and you are without power for a couple of days or maybe more; would you have access to EMERGENCY SUSTAINABLE power for critical items like your refrigerator and freezer, lights, phones, a computer and maybe a television? Do you already own a gasoline generator? Are you confident that it will start and continue to operate when you need it most? If it does start, the noise and fumes can be unbearable and dangerous, so is it safe to operate around your family for an extended amount of time? Do you have enough fuel to last for days or even weeks? If the grid goes down, there may not be fuel available at all. Finding gas when travel is dangerous and chaotic, or the local stations are closed or sold out could be frustrating and next to impossible! Or perhaps you live in a condominium or high-rise apartment where fossil fuel generators are not an option. Choices in the SUSTAINABLE portable power generator market have been few and far between until now and the SOLAR SENTINEL 2400! The Solar Sentinel 2400 – Portable, Safe, Silent and SUSTAINABLE! The PortaMaxPower SOLAR SENTINEL is hands-down your emergency backup power solution – We’re the only SUSTAINABLE solution available in the portable solar generator market today. In the event of a power loss, or for any of your emergency energy needs, the Solar Sentinel is safe – no hazardous fumes – and silent, so it can be operated safely inside, including condominiums and apartments. And the Solar Sentinel 2400 is simple and hassle-free to operate – just one push of a button and you have emergency power. It’s rugged, too. 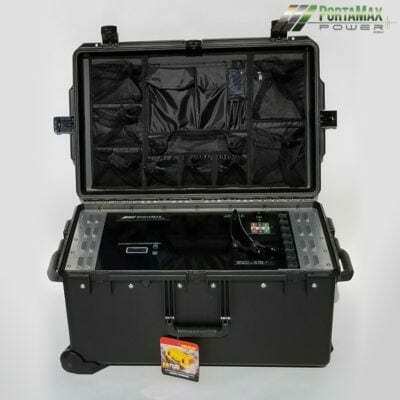 The electronics inside the Solar Sentinel are assembled on an aircraft-grade aluminum chassis, permanently shock-mounted inside a watertight Pelican Storm case. The Solar Sentinel is the only portable solar generator that is capable of fully recharging its battery with our powerful industry-leading solar panels – while still in use – in less than a day. Our competitors take days or even weeks to recharge – and they can’t claim to be sustainable solar generators – they’re just over-priced battery backup systems! While no portable generator can entirely replace grid power for the typical household, the Solar Sentinel is more than capable of handling your emergency power needs when you need it the most. For more details, visit our PortaMaxPower homepage and please address any questions or comments to our Customer Support Team – We’re happy to help! Order your Solar Sentinel 2400 today, or pre-order one before the next hurricane season arrives! Don’t wait until it’s too late, prepare NOW for when you really need emergency SUSTAINABLE power.